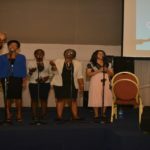 Bethel Sozo Network Nigeria organized another Extended Bethel Sozo Session in Lagos (30th April – 5th May) and Abuja (3rd May – 5th May) 2018. 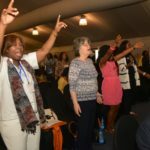 Bethel Sozo is an inner healing and deliverance ministry that was birthed in Nigeria on June 2015. 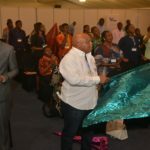 Time: There were morning (10:00am – 12:00pm), afternoon (1:15pm – 3:00pm) and evening (3:30pm – 5:30pm) sessions each day in Lagos and Abuja though the Lagos Extended Bethel Sozo Session started by 11:30am on the First day due to challenges in set up. 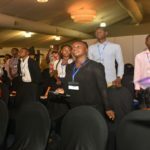 Venue: The Lagos Extended Bethel Sozo Session (30th April – 5th May) 2018 was held at the Education Hub, City Hall, Onikan, and the Catholic church of Divine Mercy Lagos while the Abuja Extended Sozo Session (3rd May – 5th May) 2018 was held at the Royal Choice Inn, Beside National Ecumenical Centre, Behind Central Bank of Nigeria, Abuja. 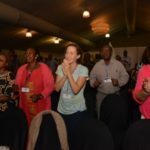 First Chairs: We were excited to have some trained Bethel Sozo First Chairs leaders from the UK, Cameroon and US join us to give Personal Sozo. 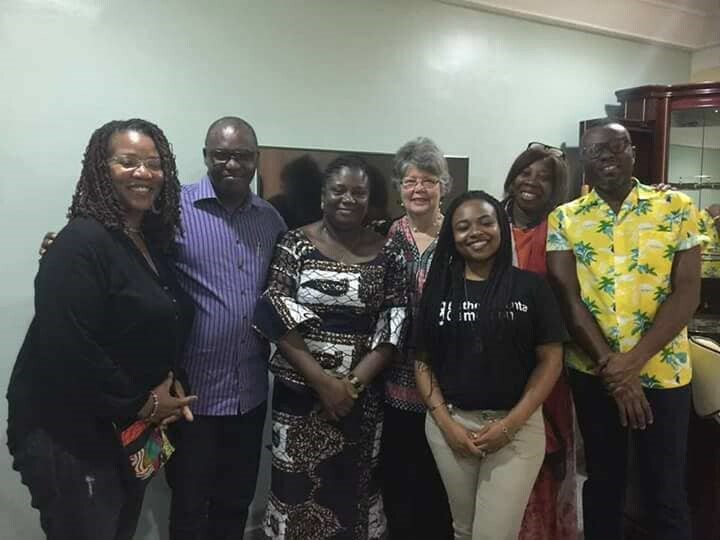 We had First Chairs from Bethel Sozo Cameroun Ms Bessie Nchenge and Mrs Sherri Lewis, Trish Riley from Bethel Sozo United Kingdom and Trish Walker from United States of America Dr Gubby Ayida flew in from London to join Mr Femi Bajomo, Dr (Mrs) Mina Bajomo in Nigeria. 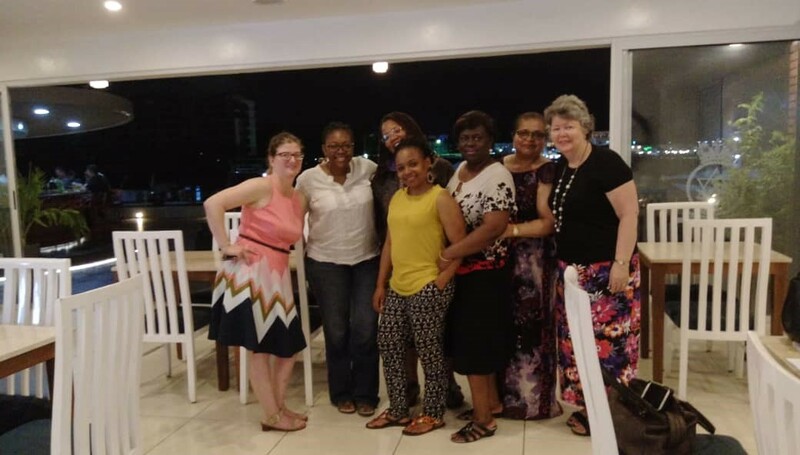 Left – Right: Mrs Trish Walker (First Chair) from USA, Ms Sola Adeola (Second Chair), Mrs Sherri Lewis (First Chair) from Cameroun, Dr Biola Mohammed (Second Chair), Mrs Sylvianne Bello (Second Chair), Mrs Trish Riley (First Chair) from UK, Dr Biola Mohammed (Second Chair) infront of Mrs Sylvianne Bello, and Ms Bessie Nchenge (First Chair) from Cameroun) infront of Dr Biola Mohammed at the just concluded Lagos Extended Sozo Session (30th April – 5th May) 2018. 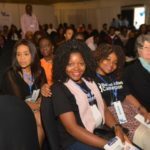 This was during an outing on Wednesday evening 2nd May 2018 before part of the team members travelled for Abuja Extended Sozo (3rd May – 5th May, 2018). 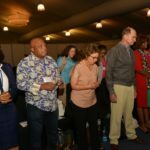 Second Chairs: The Extended Sozo period provided opportunity for the Bethel Sozo Network Nigeria team of second chairs to practice. Members of the team choose convenient slots and helped in bringing freedom to participants. 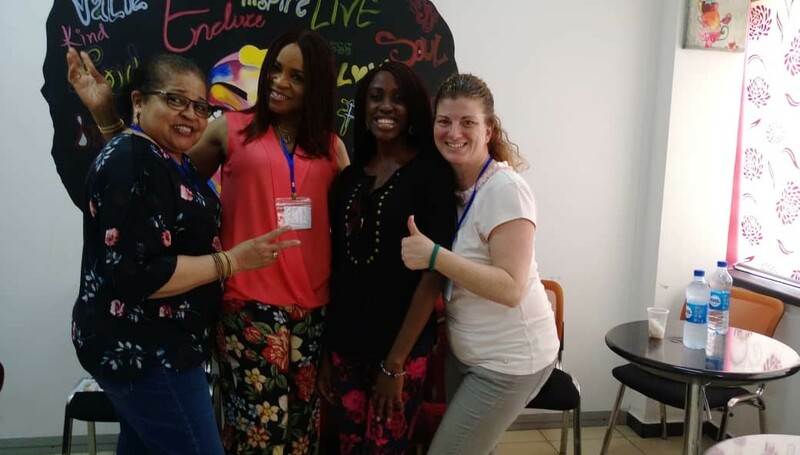 Left – Right: Mrs Sylvianne Bello (Second Chair), Mrs Ada Alfa (Second Chair), Ms Bukola Adekanye (Second Chair), Mrs Trish Walker (First Chair) from USA after a Personal Sozo Session at the just concluded Lagos Extended Sozo Session (30th April – 5th May) 2018 at Education Hub, City Hall, Onikan, Lagos. 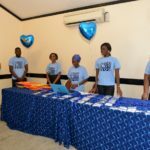 Administrative Staff: The administrative staff served at the different venues and made sure everything was successfully managed. 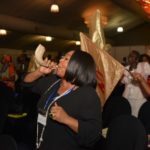 Logistics: Lapis Lazuli Ministries provided accommodation for the First Chairs at the Abuja Transcorp Hilton over the Extended Sozo period and also provided transportation throughout the period. Mrs Walker kindly paid for the airfare of herself, Ms Bessie and Mrs Sherri. 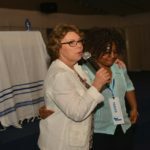 Light house, London sponsored Mrs Trish Riley’s airfare and Mrs Gubby Ayida sponsored herself. The second chairs were accommodated at the Royal choice Inn, Abuja at the expense of Lapis Lazuli Ministries. 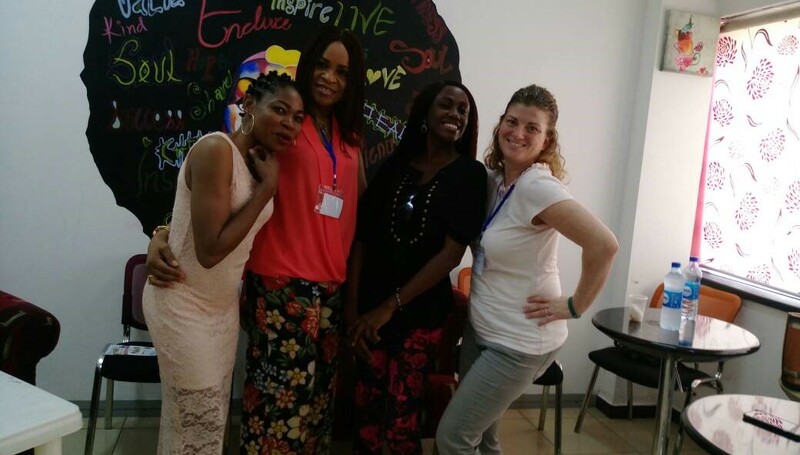 Left – Right: Ms Joy Onyelelue ( Administrative Staff), Mrs Ada Alfa (Second Chair), Ms Bukola Adekanye (Second Chair), Mrs Trish Walker (First Chair) from USA after a Personal Sozo Session during the just concluded Lagos Extended Sozo Session (30th April – 5th May) 2018 at the Education Hub, City Hall, Onikan, Lagos. 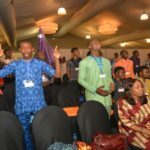 Number of Sozoees: A total number of 54 participants in Lagos and 27 participants in Abuja from different church denominations in Nigeria had their Personal Sozo Session during this period. Request for Bethel Sozo in Togo: We had amazing news from Togo asking for an establishment of Bethel Sozo Ministry in their country. 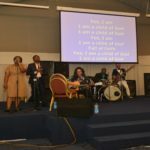 Pastor Abaya Royer and his wife (who are to lead the ministry in Togo) join us in Abuja as special guest; they had their Personal Sozo Session and also were put in the team as second chairs during the remaining Sozo Sessions. 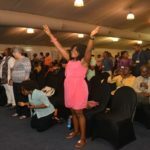 Testimonies: So many people got to know a lot more about Bethel Sozo Ministry, many got their freedom and so many have entered into a closer connection with the God Head and said they felt so much lighter and peaceful inside. We are grateful to God for bringing freedom to so many people during our Extended Bethel Sozo Session 2018 week. Thank You: Thank you letters were sent to all that donated, first chairs and every one that supported in one way or the other.